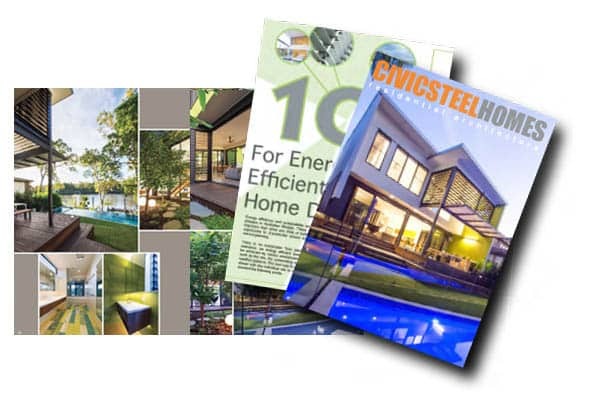 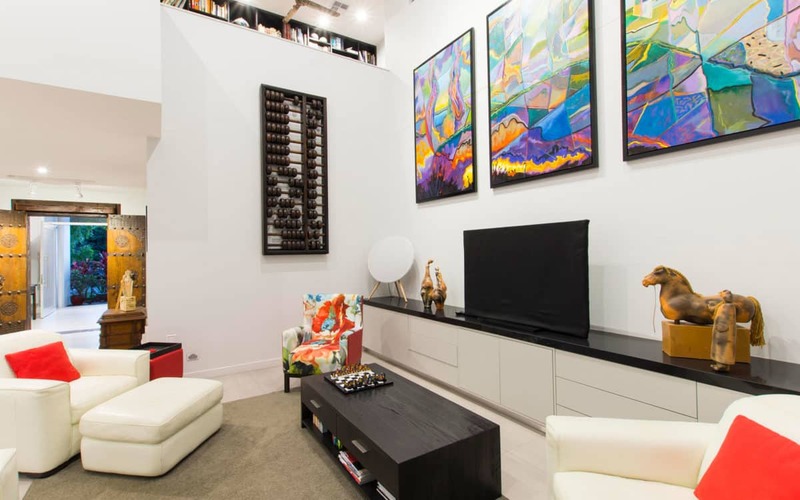 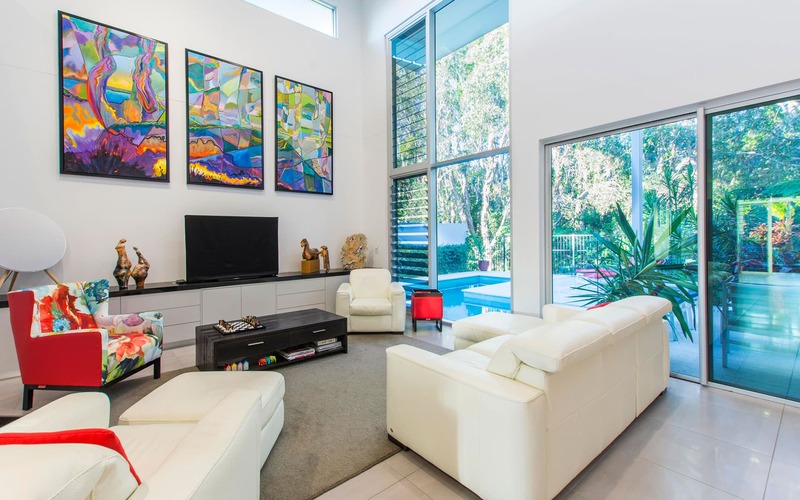 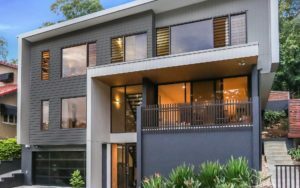 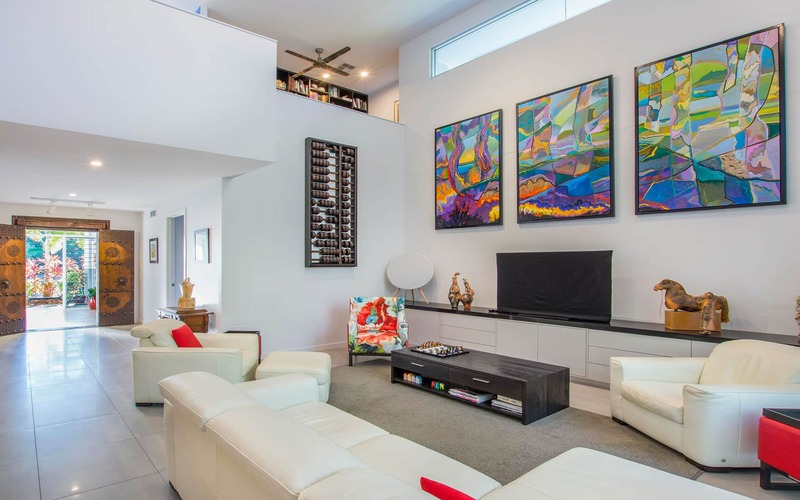 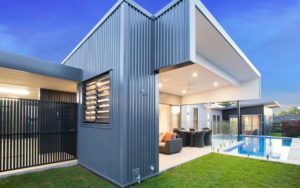 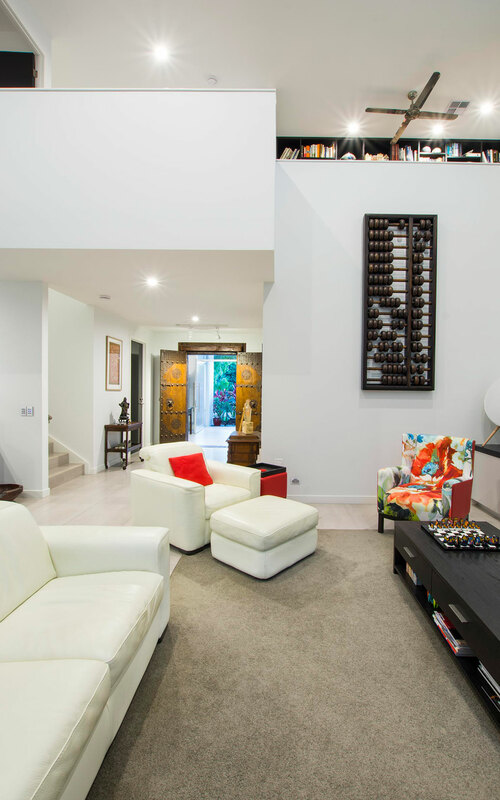 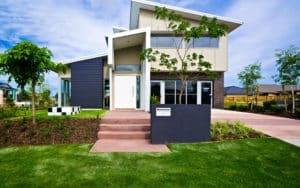 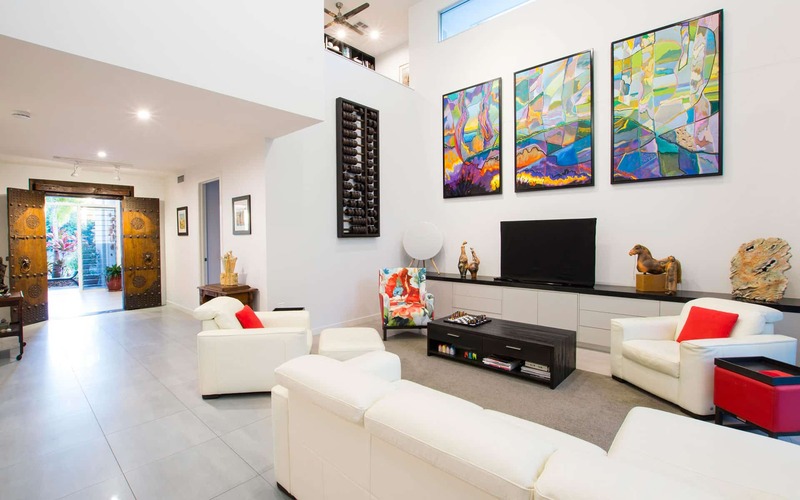 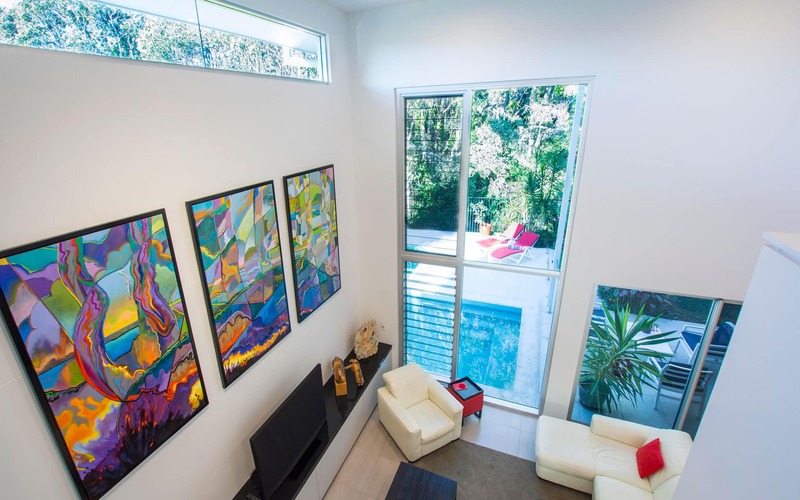 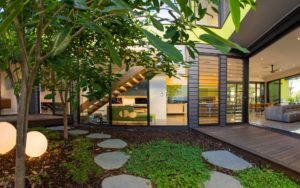 "Working with Civic Steel Homes’ architect, we were able to achieve a spacious, light-filled environment that optimised our artwork and unique forest outlook." 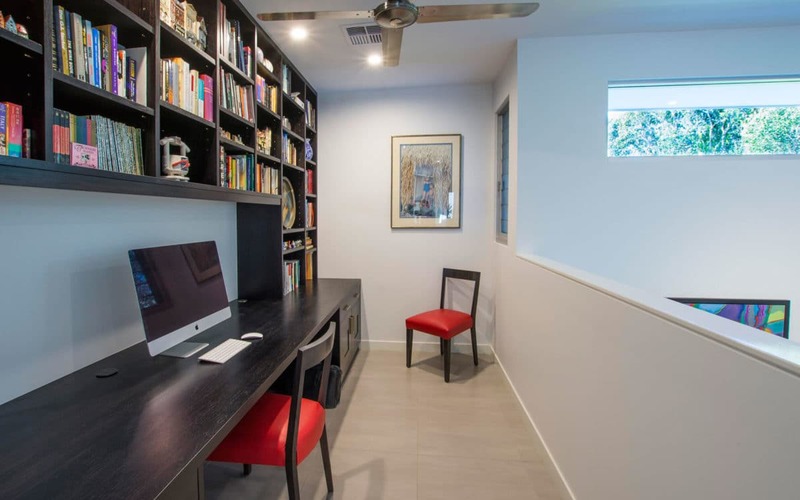 Being overseas for most of the build, it was imperative for Alan and Lyn to be comfortable with the detail of the construction documentation prior to starting. 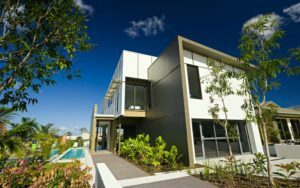 Our thorough documentation process gave them the confidence to leave the construction stage in our hands while they were absent. 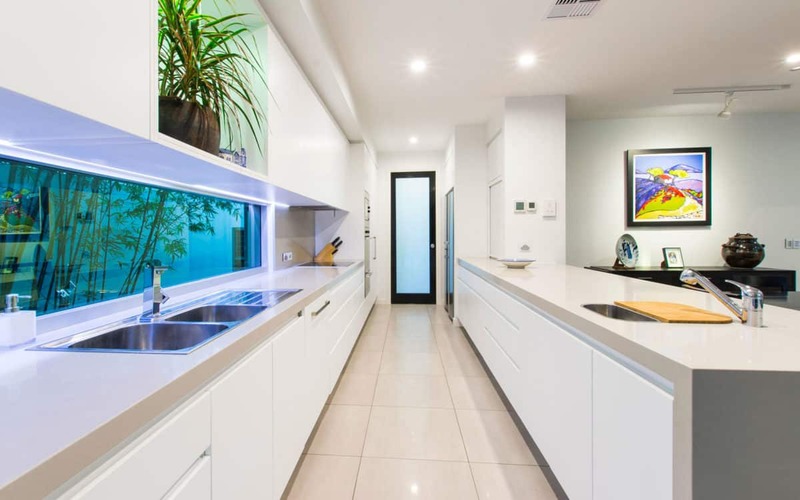 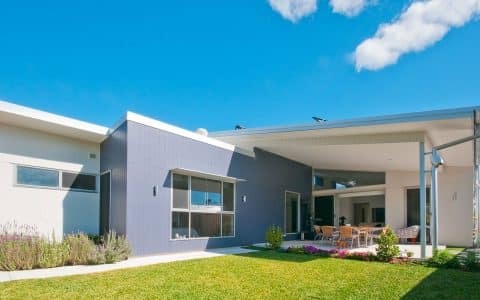 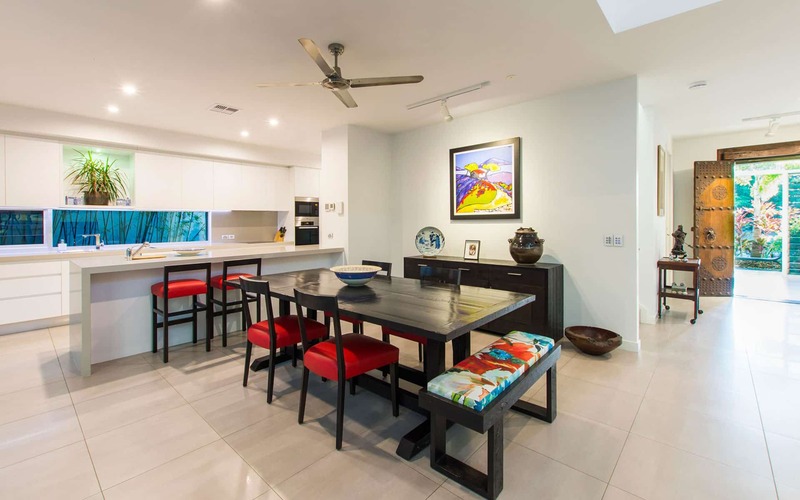 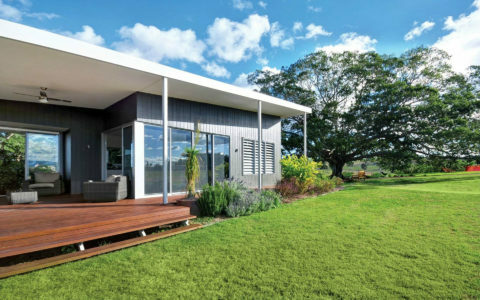 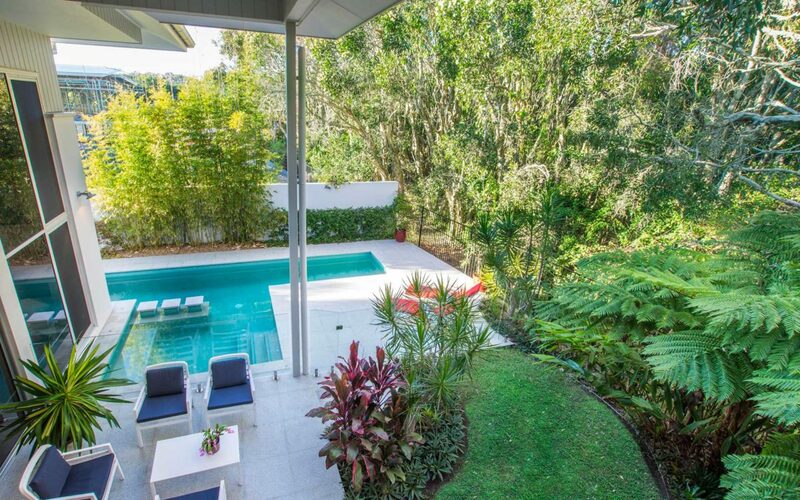 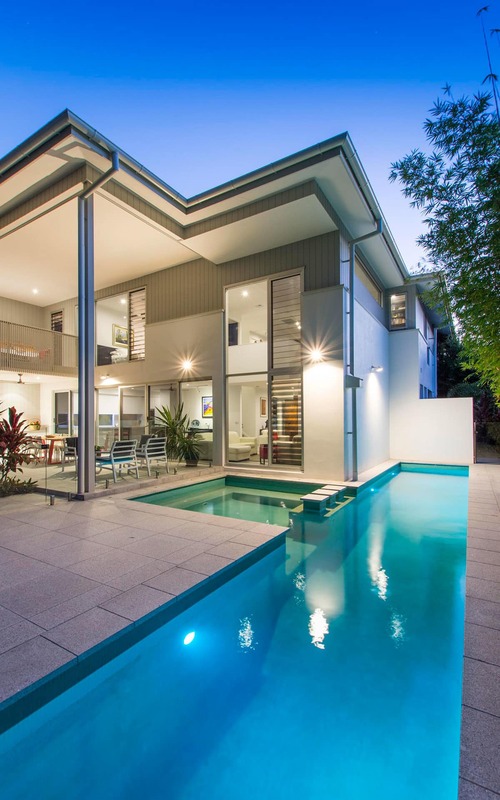 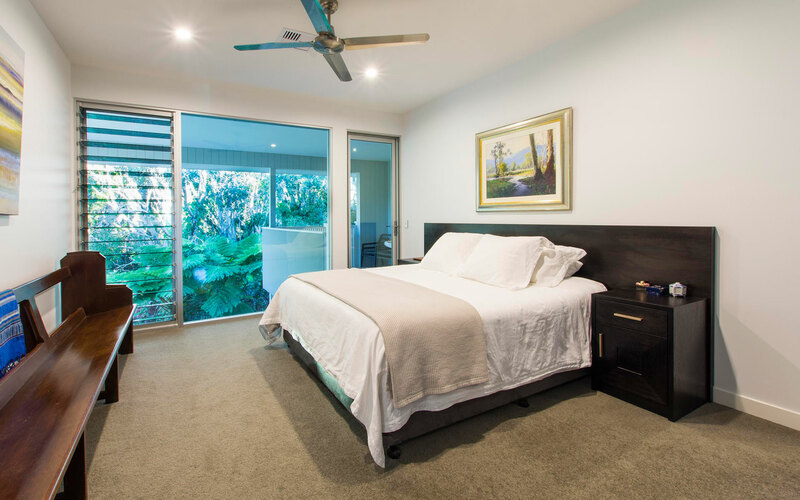 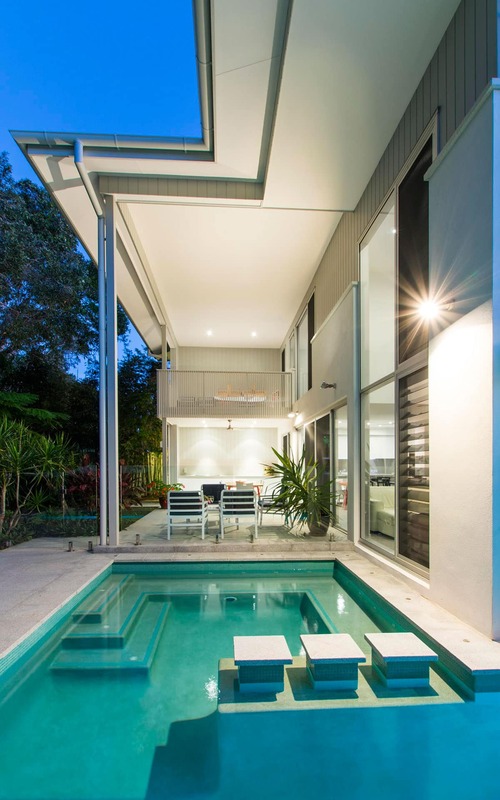 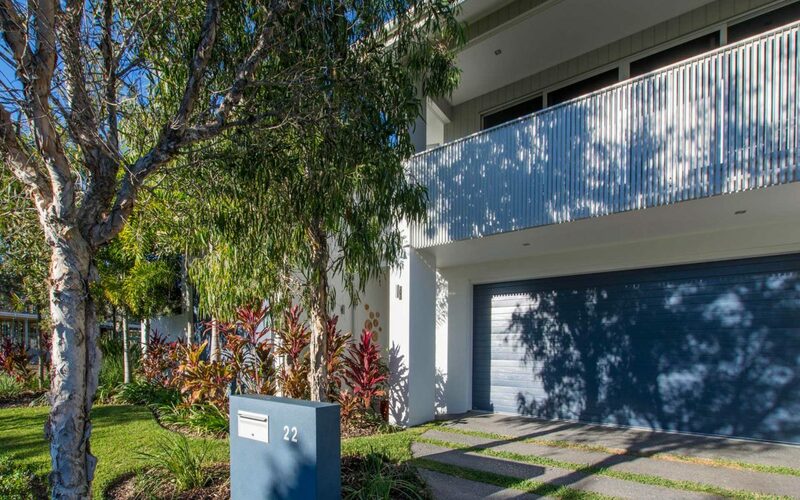 The rigid covenant at Coolum dictated the external form to a certain extent, but inside the house Alan and Lyn could be a little more adventurous and incorporate their own flair and eye for detail. 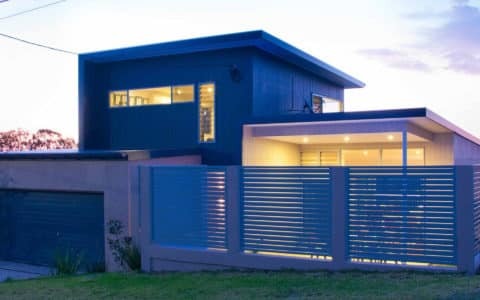 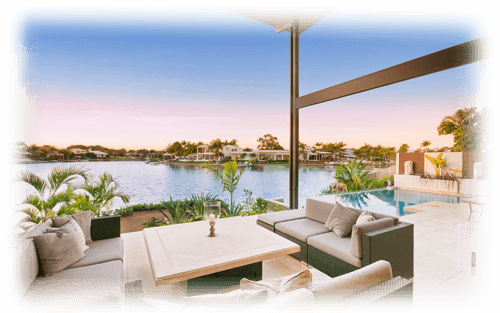 With the location backing onto a paperbark forest and sand dunes, the design incorporated two storey glass the living area, so as to take in the view from both levels. 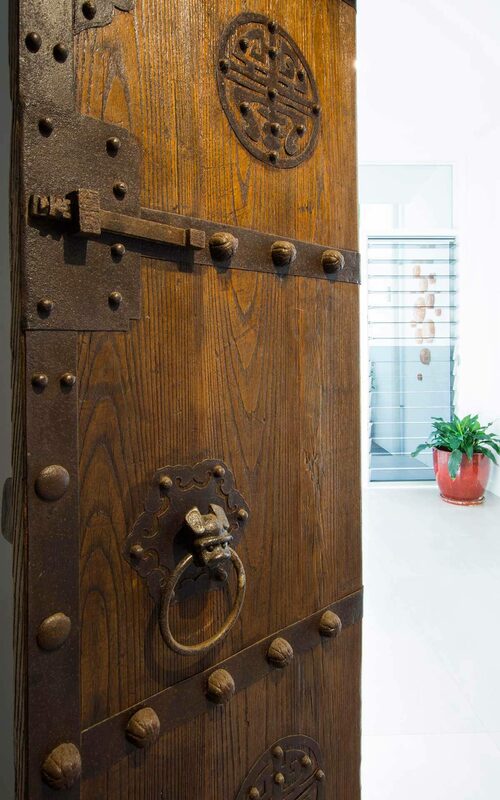 We also provided detailing and installation for a client-supplied Chinese imported timber door with a finish that the client was impressed with.